This is a spectacular view of the Milky Way arching over the coast of the North Island of New Zealand. The brightest light in the image is from the Cape Palliser Lighthouse. The central patch of light in the sky marks the bulge of stars at the heart of our Galaxy, 26,000 light years away. To the left, the two Magellanic Clouds, small satellite galaxies much further away, appear as faint smudges in the sky. Structures like this often seem unchanging and timeless on the scale of a human lifetime. However, they are fleeting and transient on astronomical timescales. Over just a few thousand years the fierce radiation from the stars in this nebula will erode the surrounding clouds of dust and gas, radically altering its appearance. This image is a demonstration of both precision timing and rigorous post-processing. 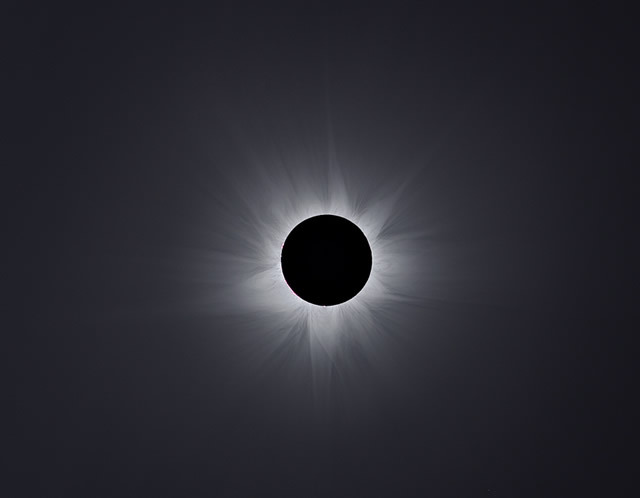 It gives the viewer a window onto the elusive outer atmosphere of the Sun – the corona. A natural dimming of the Sun’s blinding brightness, courtesy of the Moon, reveals the ghostly glow of gas that has a temperature of one million degrees Celsius. For centuries, total solar eclipses were the only way to study this hidden treasure of the Sun. For those lucky enough to see it, the transit of Venus was one of the astronomical highlights of 2012. As the planet took just six hours to cross the face of the Sun, cloudy weather was a potential disaster for observers – the next transit will not take place until 2117. Here, the final moments of the transit are revealed by a chance gap in the clouds, allowing the photographer to capture the picture of a lifetime. Extreme care should always be taken when photographing the Sun as its heat and light can easily cause blindness and damage digital cameras. Specialist solar filters are available to allow photography and observations to be carried out safely. This is a deceptively simple shot of figures silhouetted against a rising Moon. 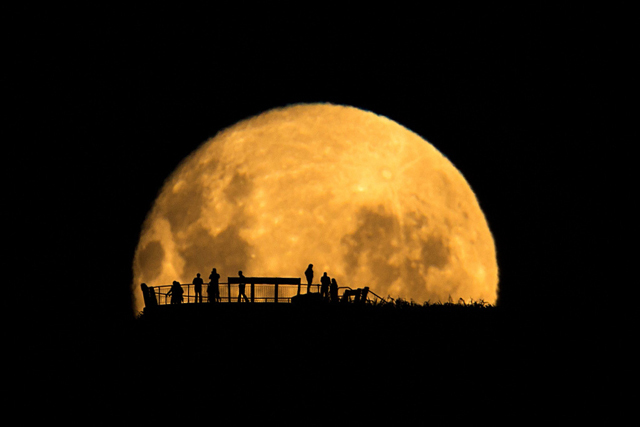 By photographing the people on the observation deck from a great distance, the photographer has emphasized their tiny scale compared to the grandeur of our natural satellite. Close to the horizon, Earth’s turbulent atmosphere blurs and softens the Moon’s outline and filters its normal cool grey tones into a warmer, yellow glow. 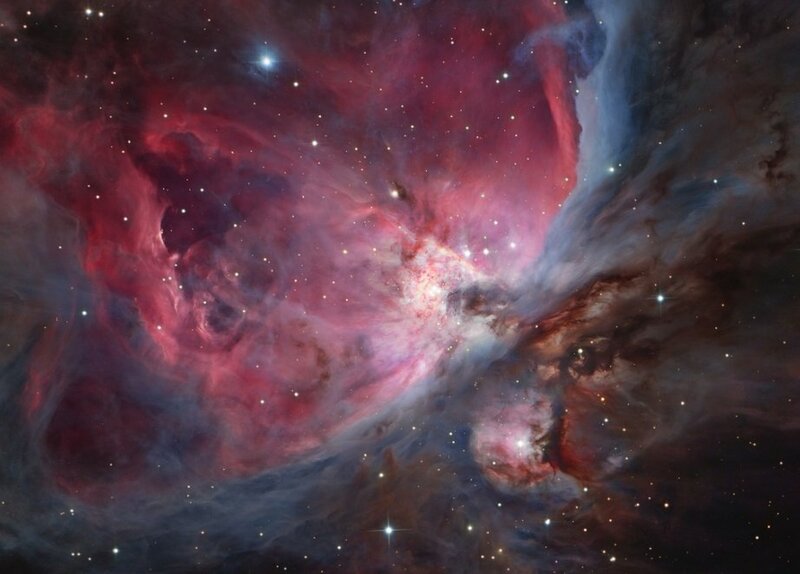 The great Orion Nebula is often described as a ‘stellar nursery’ because of the huge number of stars which are being created within its clouds of dust and glowing gas. As dense clumps of gas collapse under their own gravity, any remaining debris settles into a dark disc surrounding each newly formed star. One of these ‘protoplanetary discs’ can be seen silhouetted against the bright background of glowing gas in the central star cluster of this image. Within the disc material will condense still further, as planets, moons, asteroids and comets begin to form around the star. 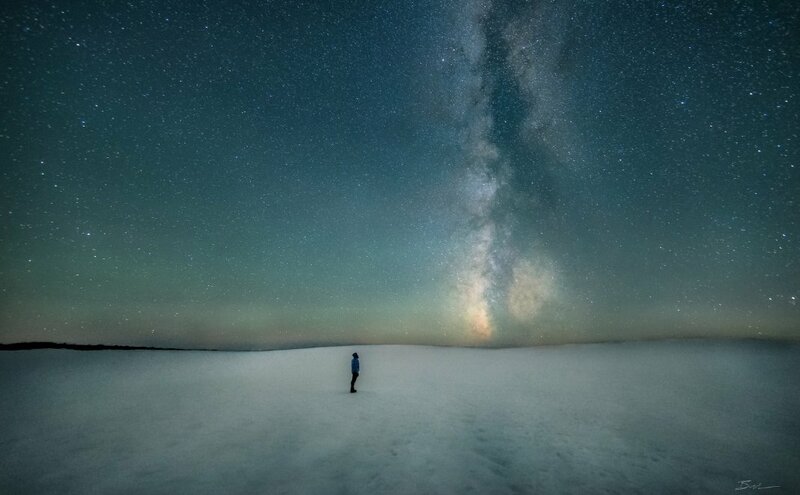 Appearing like a column of smoke rising from the horizon, a dark lane of dust marks the plane of the Milky Way in this photograph. This dust plays a vital role in the life story of our galaxy. 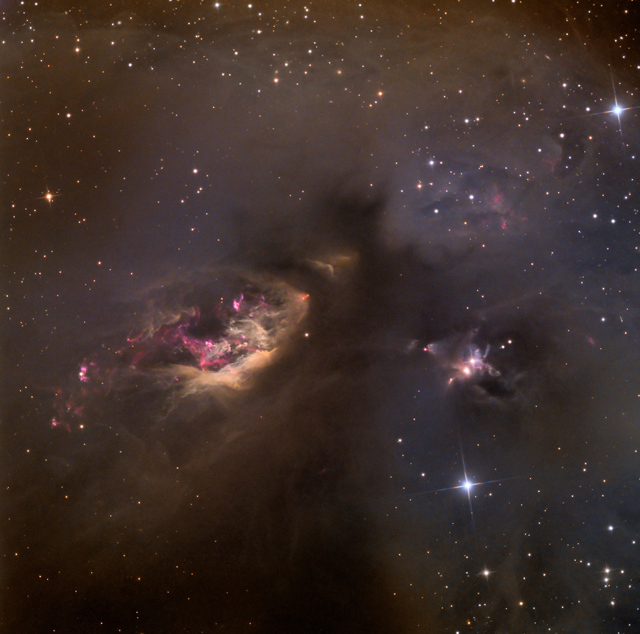 Formed from the ashes of dead and dying stars, the dust clouds are also the regions in which new stars will form.